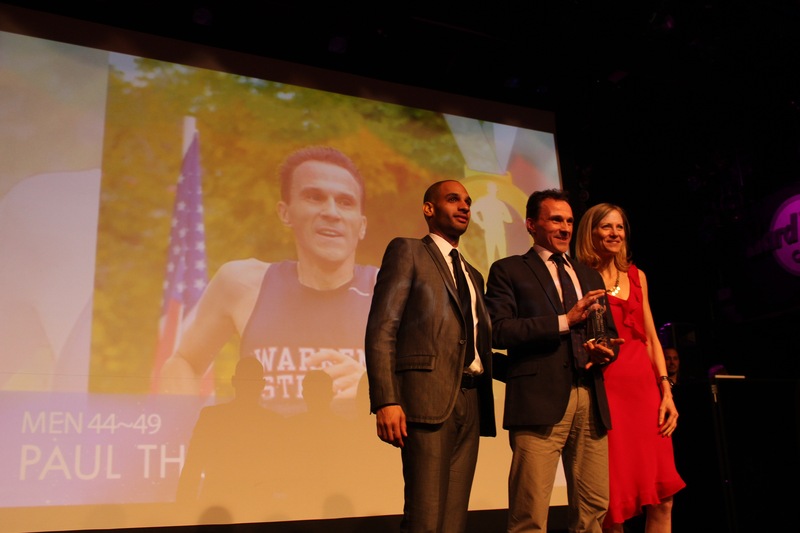 A few days ago I won the accolade of being Men’s Runner of the Year, 45-49 Age Group for the 2012 season at the New York Road Runners (NYRR) Club Night. It was one of my goals of 2012 so it was mission accomplished. But any desire to celebrate was tempered by a dogged injury. I’ve won the award for 6 straight years, every year since I turned 40 back in December 2005. My aim is to make it 10 out of 10 during my 40s. But these past few weeks I’ve come to realize that the biggest hurdle to achieving this is unlikely to be my ability to sustain the motivation and training nor is it likely to be my competitors, formidable as they are. Rather the greatest obstacle could be injury. A month ago I felt invincible as I racked up the quantity and quality of my training. 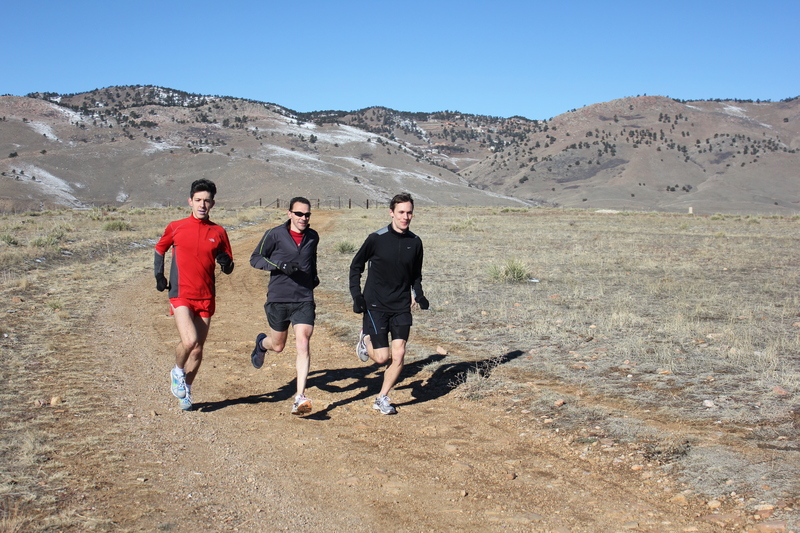 In January I was running 75-90 miles week and pushing low 5 minutes per mile (MPM) at the end of long tempo sessions. Now I have been humbled by piriformis syndrome which has so far proved hard to budge. And so here I am in Boulder CO.. What was to be a long hard weekend of training as a final platform for a crack at running the London Marathon under 2:30, bag a PR and win the M45-49 age group has instead turned into a rehabilitation camp. 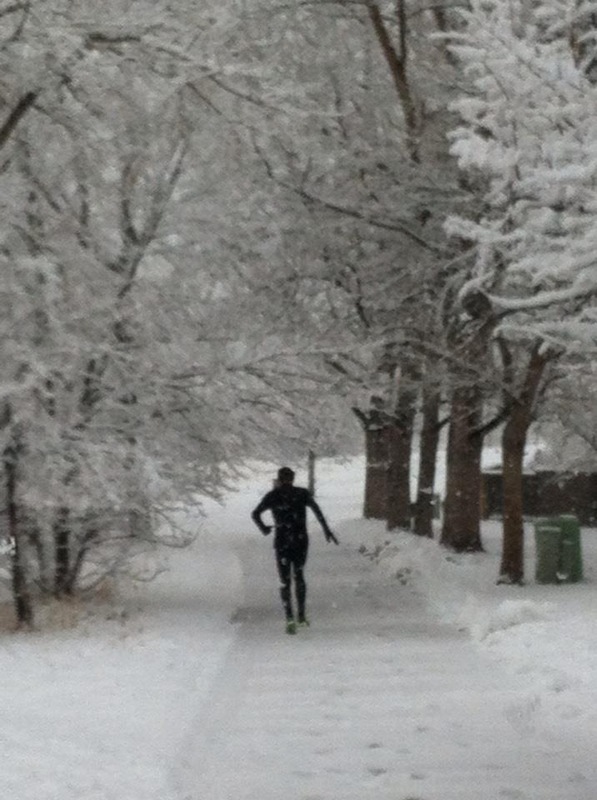 This morning, during a snow storm, I ran 6 miles at 8 MPM. And it did not feel anything like as easy as the pace would suggest. The past month I have run barely 40 miles versus over 300 in January. I’m now stretching. The moral of the story is that when you are feeling invincible and lauding it over others you are at your most vulnerable and all set for a fall. As my mum would say “don’t get too big for your boots”. This past weekend was the first time I’d trained in Boulder with anyone else. Sure Shamala and I often start out together but typically next see each other at the end of our run, often at our favorite post run coffee venue, the North Boulder branch of Spruce Confections (the scones, especially raspberry-cream cheese, hit the spot after a hard run). My sparring partners were Fabio Casadio and Sebastien B. who’d come to Boulder to get in some hard training at altitude as part of their build up to the Boston Marathon. Fabio and Sebastien are hoping to break their PRs of 2:42 and 2:29 respectively. So for 4 days we went at it hammer and tongs – until we could barely stand anymore let alone run. 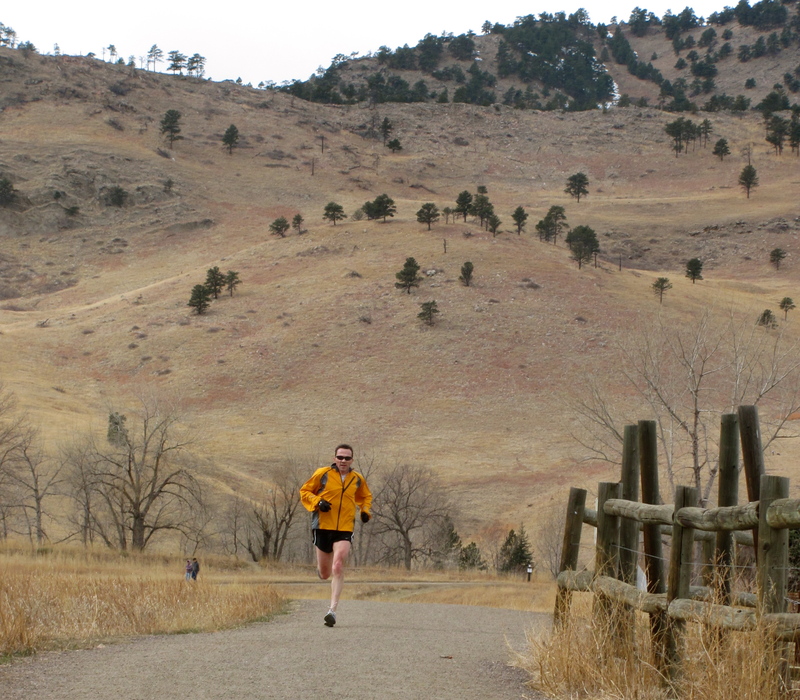 We did most of our running on the North Boulder trails. 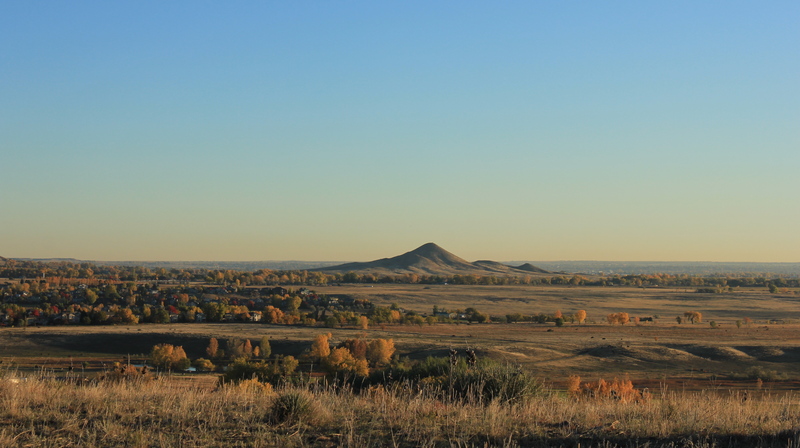 They offer undulating off-road running with breathtaking (what breath there was left to take) vistas of the snow sprinkled Flatirons, mountains which visually define Boulder. The sun shone and the skies were a perfect blue. Temperatures were often in the 40s. But when the wind blew the windchill took it into single digit fahrenheit. This was our last morning in Boulder and we had planned an early run so that we’d be back in time for the sofa delivery. After two hard days training today was a recovery run, if there is such a thing at altitude. I ran six miles in around 42 minutes on familiar ground – up North Broadway, then Hidden Valley, a loop around Mesa Reservoir, down to Eagle Trail and up the long, grinding ascent of Cobalt Trail. This time I took Shamala’s iPhone and mapped the route on Runmeter. Being a work day it was quiet: not a single runner or cyclist and just one walker. There were, however, many marmots hard at work excavating. While it was dry, the skies were a little overcast, not the brilliant crisp blue that we have come to associate with Boulder. As I headed home Shamala’s phone rang. 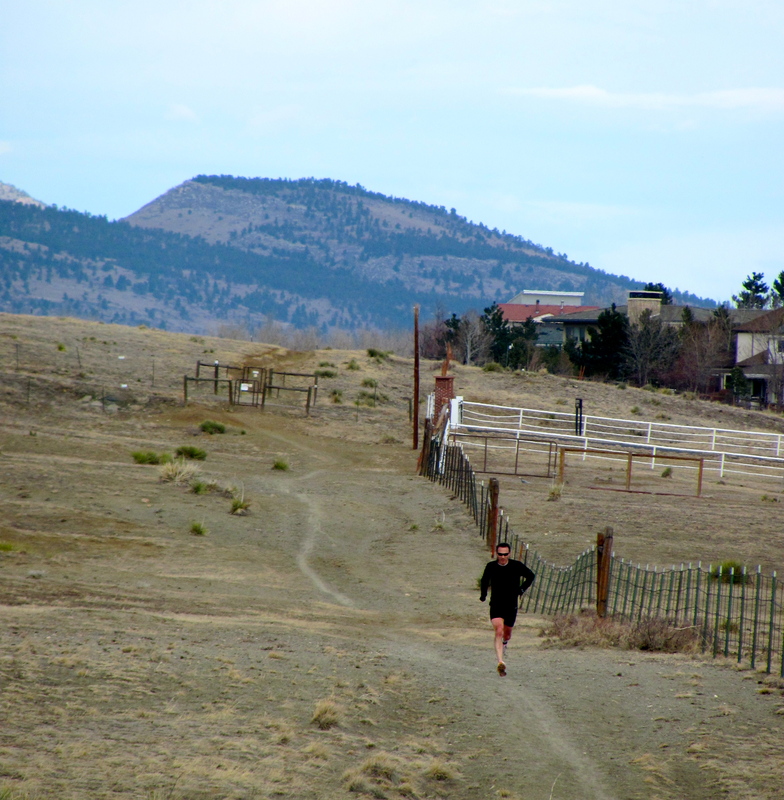 I considered not answering since it seemed to break the protocol of training in Boulder – getting away from it all. However, curiosity got the better of me, as it usually does. I saw it was a local number and figured it was the sofa deliverymen. It was. As my gloved fingers fought with the iPhone I was just able to take the call. They were on their way. Imagine delivermen early. I told them I was a 15 minute run away but that Shamala should be back to receive them. Shamala had headed out earlier to try and get back just in case they came early – just as well. The delivery went smoothly and we even had time to test the sofa before heading to the airport. We ended up spending most of the afternoon in Denver International Airport (fortunately one of the best US airports for hanging around when you have time to kill) due to a flight delay – wet weather in Newark had caused flights to backup. This was the third time we’d experienced a lengthy delay on this exact same Southwest flight. And for the third time we succumbed to a consolation prize of burger and fries. Touching down in Newark at 11pm we finally got to bed at 3am in Peekskill. On this trip we got in some great runs, added the first piece of furniture to the lounge, and renewed our determination to find a way to spend more time in Boulder. We woke up the next morning to the sound of the wind rattling the windows. We react to wind very differently. Coming from the UK, I am quite used to being buffeted by wind while out running. Shamala, however, does not enjoy being blown about. 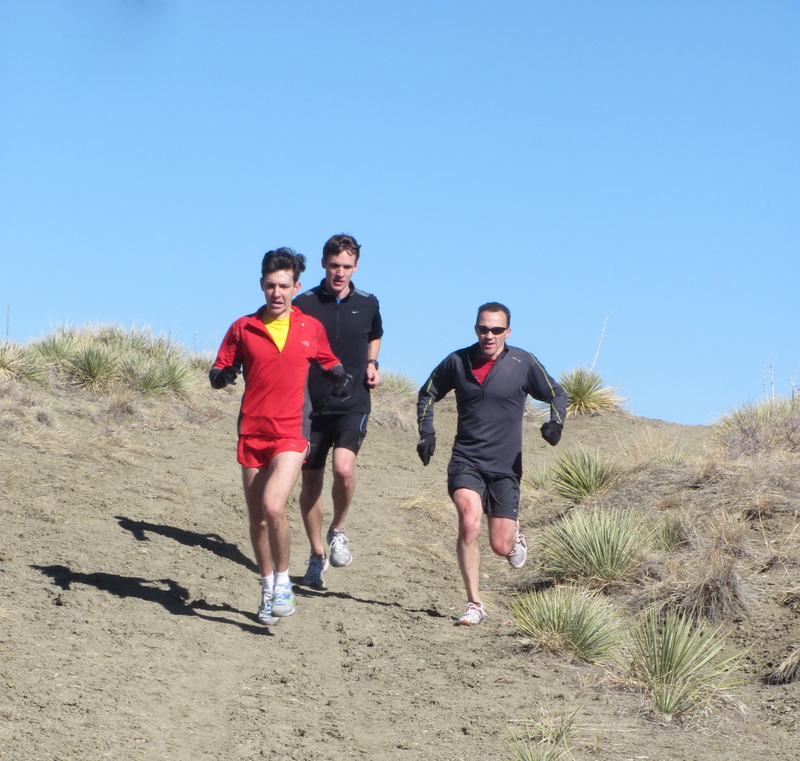 We decided to cover familar ground today by running on the trails around Wonderland Lake. I passed under North Broadway on one of the many concrete cycle ways that criss-cross Boulder. Within minutes I was descending a steep incline bearing down on Wonderland Lake. At this point I saw Matt Reed, a USA Olympic Triathlete, coming the other way. We shared that knowing look us athletes often give when we meet one another. 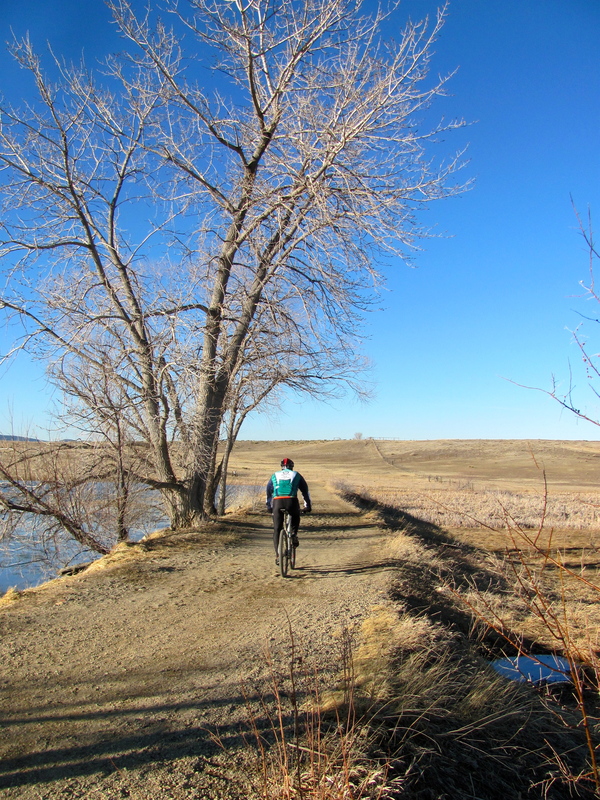 The lake was almost half frozen over and on the second lap I passed Shamala. She had thought it would be much colder and was a tad over-dressed. Today I decided to try for something a bit different so I traversed one of the hiking trails up the Foothills. The path was narrow, rocky and steep but within minutes rewarded me with spectacular views of Boulder and the plains beyond. I barely managed to keep running such was the combined effects of altitude, steep trail and tip-toeing over rocks. I then descended back into Boulder, passed Wonderland Lake, crossed Lee Drive and ended the run with a loop of the North Foothills. All told around 10 miles in 70 minutes. Post run activities were much like the day before. Breakfast at Spruce Confections and then more sofa hunting. Paul had come to the conclusion that he couldn’t share an apartment with a burgundy sofa but was open to the chocolate brown if we didn’t see anything better and it could be delivered before we had to leave for the airport at noon the next day. We headed back to Concepts and bought our second piece of furniture. And since it’s a sleeper sofa we can now host (short and thin at least) friends and family. For dinner we decided to see if we could find something suitable from Lucky’s Market, our nearest supermarket. It’s an independent supermarket and sold organic produce years before it became expensive and trendy. It’s produce and clientele are poles apart from our local A&P in Peekskill, NY. We knew our dinner choices would be constrained by the lack of cooking implements in our kitchen. We decided that we’d go for an Indian menu – naan bread and bags of palak paneer and black lentils which just needed 90 seconds of microwaving. It would not be hard being vegan or vegetarian in Boulder. We’d chosen a good weekend to come here. While Boulder was a balmy 50 degrees farenheit, New York was experiencing its first real snowfall of the year. 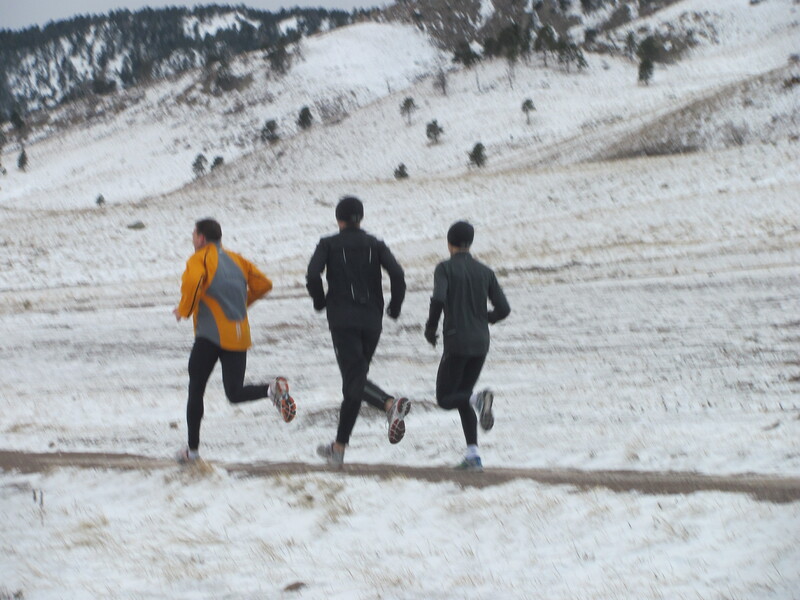 Snow and ice underfoot make for hard work, especially when running off-road. When we bought our apartment in North Boulder the big draw was ease of access to a network of off-road trails. 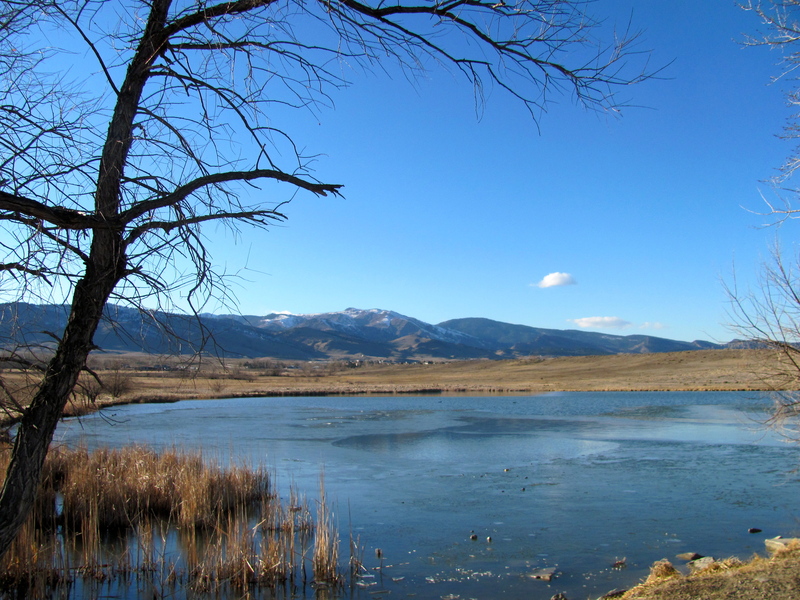 Some, such as the North Foothills and Wonderland Lake, are a stone’s throw from the front door. These are great for shorter runs but after a while we started looking around for something that would work for longer, more challenging runs. We found a great network of trails just north of us. 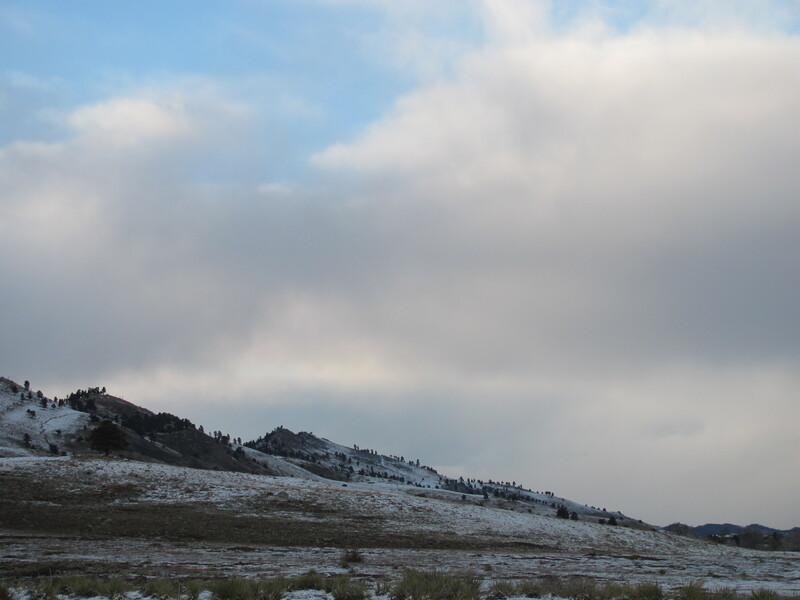 You can run for miles with just the view of the Flatirons, Foothills and the plain stretching east for company. The trails are designated multi-use, gently undulating but rocky in parts. And this is where we headed for our run today. 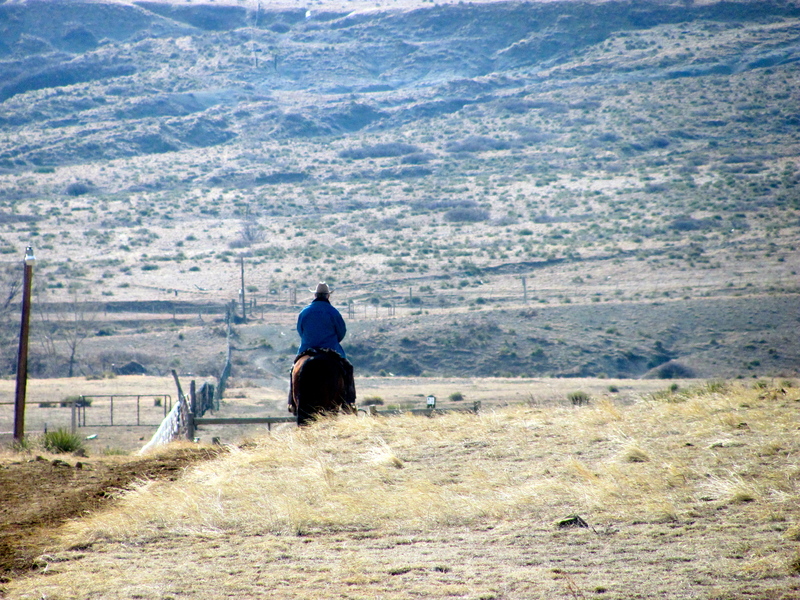 I started right from the front door of the apartment while Shamala drove to the trailhead. I like this type of straight-out-the-door kind of running. The weather was perfect: light breeze and a cloudless blue sky. As this was day one at altitude (North Boulder is about 5500 feet above sea level) I was planning a relatively easy 90 minute run. North Broadway was already a busy thoroughfare of cyclists heading north. I left the city limits behind me as I crossed Route 36 and went from tarmac to mud pack road and then finally off-road trail. The Cobalt Trail starts just north of the North Foothills Trailhead, which is where I caught up with Shamala. It starts rocky but as it descends towards the Boulder Valley Ranch Trailhead it gives over to softer ground – soft enough for marmots who pock mark the trail with their burrows and squeak incessantly, presumably to alert family and friends of my trespassing through their backyard. Reaching the Boulder Valley Ranch Trailhead, a parking lot filled with vehicles of runners, cyclists, walkers and horse riders, I ran due north along Left Hand of the North Boulder Valley Trail. It’s a dusty, rugged and undulating trail and makes a number of small dips and switchbacks as it navigates small creaks, and two lakes. I had the trail to myself bar a few mountain bikers and a horserider who looked like he was straight off the set of Brokeback Mountain. On the way out the Foothill views to the left slowly unfold. For Shamala they unfolded more slowly (her words not mine) and she turned back after the second lake, while I kept going until the trail ended. At the trailhead a sign indicated that this was once Arapahoe land. I ran another two miles on the packed mud roads common to the area. These roads make for fast running – the Kenyan group featured in the blogumentary, Chasing Kimbia, trained on them a lot. I retraced my steps back to North Boulder, taking a short detour, trading a long relentless climb up the Cobalt Trail for a short steep over-in-a minute climb. 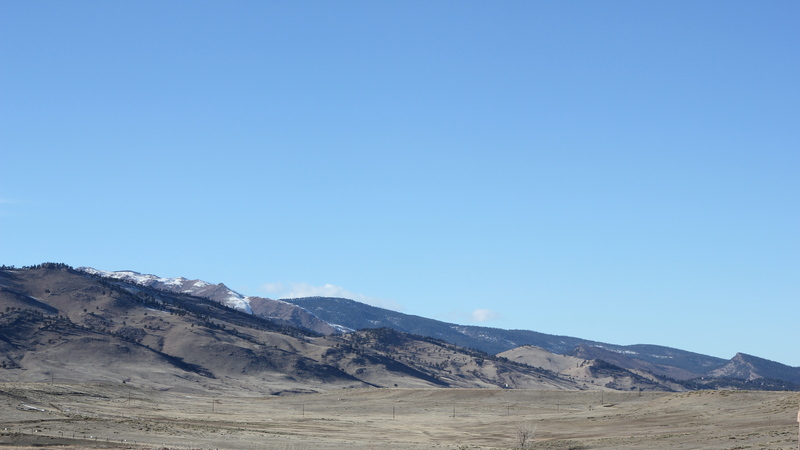 As I crested the climb and Boulder came into view I was greeted by a warm headwind. I’d been out for 98 minutes and logged 14 miles. So much for an easy run. Our after-run treat was coffee and pastries at Spruce Confections, our favorite North Boulder coffee haunt, as the frequent coffee points testify. It does great scones with fillings like pecan and blueberry. They actually bake their stuff on site. Plus there’s free wifi which enabled us to write this post. We got there just ahead of a MAMIL cycling group (middle-aged men in lycra) who had just finished their long Sunday morning ride. 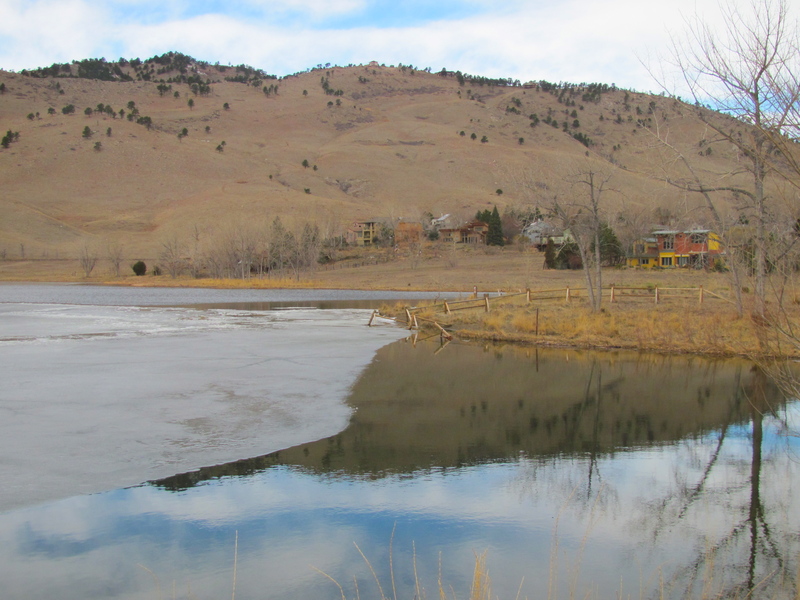 Boulder is a magnet to those seeking an active lifestyle, regardless of age. 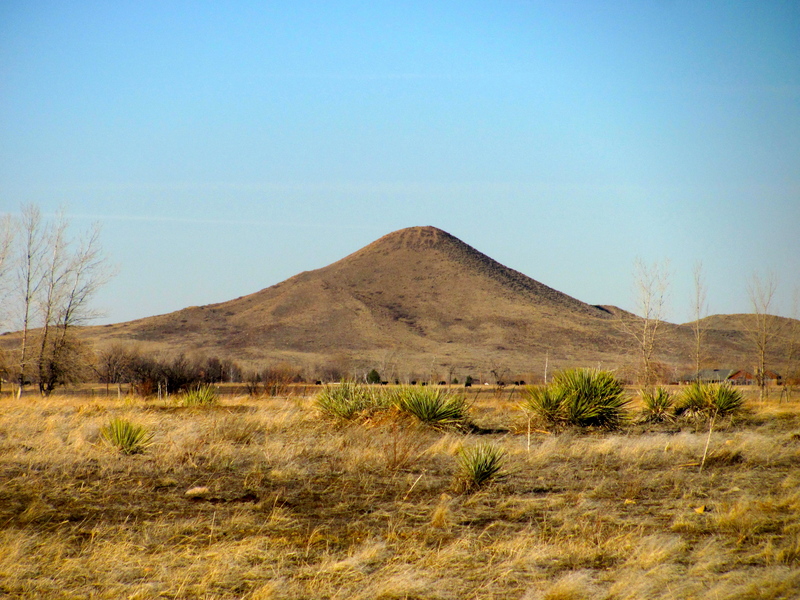 It was recently rated the 4th Best US Town in 2011 by Outside Magazine and is home to some of the world’s top runners, cyclists, triathletes, mountain bikers, and rock climbers. Another reason for coming to Boulder this weekend was to continue furnishing our apartment. On our last trip in October 2011 we got a bed and bedding: we are too old for the floor and in any case we are not students anymore. This time we were hoping to find a sofa, and maybe even a dining table and chairs. We checked out Concepts Furniture, and shortlisted a sleeper sofa. Unconvinced by the chocolate brown color, we headed to their sister store in nearby Longmont where we found exactly the same for less in burgundy. It was a tie break so we resolved to sleep on it, metaphorically at least. For dinner we decided to check out the neighborhood pizza joint – Proto’s Pizza. We’d just missed Happy Hour, something Boulder has a reputation for. We shared a large Pontiff Pie pizza which, with the help of a pint of wheat and amber beer, we managed to reduce to a few crumbs. It was, of course, divine. No doggy-bag needed. It’s a good thing we’d done a long run earlier in the day.